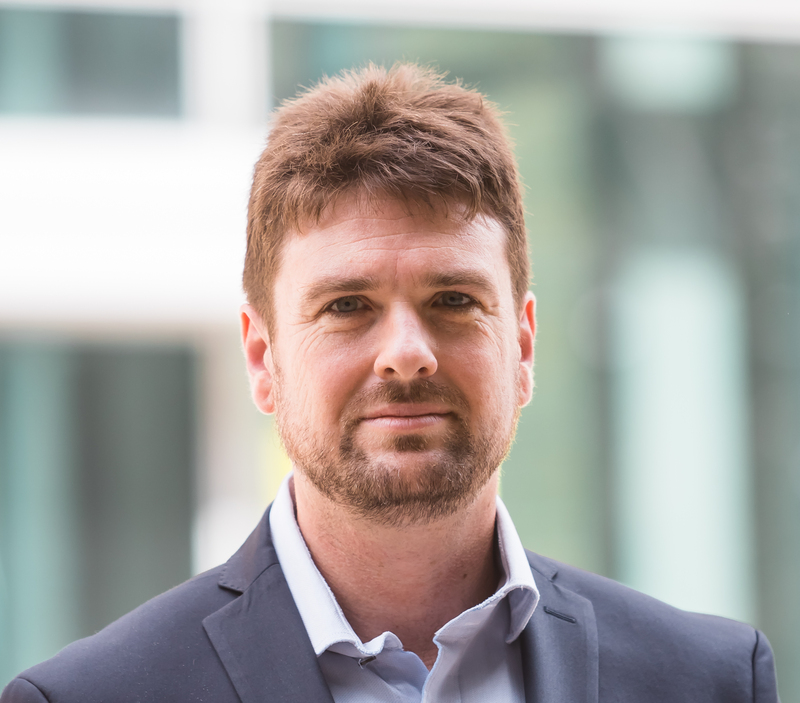 Dr. John Rose is Professor and founding Director of the Business Intelligence & Data Analytics (BIDA) Research Centre in the UTS Business School. Professor Rose’s research interest lies primarily in the area of modelling of behavioural agents in decision making, with a particular focus on understanding infrastructure planning. This includes large scale infrastructure projects of national interest, such as projects within the transport, telecommunications and energy sectors. He also researches extensively in Health and Environmental Economics. He is in the process of writing a book on generating efficient stated choice experimental designs (with Mike Bliemer). He is also actively engaged in contract research, working in the areas of toll road evaluation and modelling. Numerous toll road patronage forecasts both in Australia and New Zealand. All of these studies have implications on the engineering scope of work; as such studies are required to determine the minimum level of service requirements needed to result in sustainable transport related infrastructure projects. The external validity of discrete choice experiments ($460,000). Other grant areas Professor Rose received vary in topic area, from transport to environmental engineering logistics. In addition, Professor Rose has received $6 million in industry-based contract research since 2005. Visiting professor at the Pontificia Universidad Catolica de Chile - Santiago Scholarship, 2006. How people make decisions about where to spend their money, and how to predict those decisions, is the focus of Professor Rose's research at BIDA. Value of travel time savings. Professor Rose founded the Institute for Transport and Logistics Studies (ITLS) Teaching and Learning Committee in 2008. The committee provided new teaching innovations within the transportation program at the University of Sydney and with this, ensured quality of learning practices in order to provide and maintain the best possible experiences for students. He was also responsible for the review of all the Unit of Study (UoS) outlines for the Institute of Transport Studies and introduced several new courses in Aviation and Maritime Transportation, as well as overseeing the introduction of courses such as Intelligent Transport Systems. Awarded the Dean’s citation in 2009 for teaching, Professor Rose received perfect scores on all measured metrics (5 out of 5) for teaching of Transport Modelling - a course dealing with the modelling of transportation systems and networks. Teaching transport modelling, transport economics and discrete choice modelling is Professor Rose’s key teaching areas. © David A. Hensher, John M. Rose and William H. Greene 2015. All rights reserved.The second edition of this popular book brings students fully up to date with the latest methods and techniques in choice analysis. Comprehensive yet accessible, it offers a unique introduction to anyone interested in understanding how to model and forecast the range of choices made by individuals and groups. In addition to a complete rewrite of several chapters, new topics covered include ordered choice, scaled MNL, generalized mixed logit, latent class models, group decision making, heuristics and attribute processing strategies, expected utility theory, and prospect theoretic applications. Many additional case studies are used to illustrate the applications of choice analysis with extensive command syntax provided for all Nlogit applications and datasets available online. With its unique blend of theory, estimation, and application, this book has broad appeal to all those interested in choice modeling methods and will be a valuable resource for students as well as researchers, professionals, and consultants. © David A. Hensher, John M. Rose, William H. Greene 2005. Almost without exception, everything human beings undertake involves a choice. In recent years there has been a growing interest in the development and application of quantitative statistical methods to study choices made by individuals with the purpose of gaining a better understanding both of how choices are made and of forecasting future choice responses. In this primer the authors provide an unintimidating introduction to the main techniques of choice analysis and include detail on themes such as data collection and preparation, model estimation and interpretation and the design of choice experiments. A companion website to the book provides practice data sets and software to estimate the main discrete choice models such as multinomial logit, nested logit and mixed logit. This primer will be an invaluable resource to students as well as of immense value to consultants and professionals, researchers and anyone else interested in choice analysis and modelling. © 2017 Springer Science+Business Media, LLC While the study of choices focuses primarily on the individual decision maker, there is growing interest in the examination of the choices made by groups. Much of the research into the choices of multiple decision makers has revealed that they differ significantly to those of individuals. In this study of household vehicle choice we similarly compare individual choices to group choices and support this finding. Consequently any research into choices that involve groups should acquire data from those groups. In this paper we show how this may be done via an interactive agency choice experiment which makes the individual preferences endogenous to the choice of the group. This method and many like it, however, involve significant time, incentive and administrative costs that often make such studies prohibitive. In this paper we also compare another class of model, minimum information group inference, which is designed to provide an overview of the likely group choice and while not having the specificity of detail as other methods, has the advantage of being much easier and cheaper to implement and is perhaps the only methodology that can be employed when it is not feasible for respondents to interact. We find that this method is a good approximation of group choice, mapping the preference space over which group choice is likely to be located. © 2019 Elsevier Ltd The study of latent variables, and in particular of attitudes, contributes to a better understanding of individual preferences and behavior and it is now common practice within transportation literature. However, the procedure of attitude measurement is still not optimal. Two major issues are the misspecification of the attitude itself and the number of suitable items used for defining the psychological factor. The incorrect measurement entails a poor representation of individuals on the latent continuum and a less precise definition of the latent variable itself. These issues become even more relevant when a Likert scale is used. Indeed, the neutral point of this scale is selected by both individuals having an ambivalent and an indifferent attitude, and the poor representation makes impossible to distinguish these categories. Nevertheless, such a distinction can be very profitable for policy reasons. To overcome this issue and to suggest more effective policies, we propose using the Evaluative Space Grid (ESG), which is a single-item measure of positivity and negativity, to collect attitudinal variables. This tool can distinguish between individuals with indifferent and ambivalent attitudes, as well as those with positive and negative inclinations. This paper models the ESG using a pair of ordered logit regressions and suggests a procedure to include this approach in the framework of hybrid choice models. Furthermore, it endeavors to shed light on the preferences of individuals having indifferent and ambivalent inclinations in a transportation context, showing the hypothesis that their preferences are different for commuting trips. © 2017 Grace Scientific Publishing, LLC. Discrete choice experiments (DCEs) are widely used in many areas of applied social science research. The results of DCEs depend on the particular experimental design for the identification of the key parameters of interest and the statistical efficiency with which those parameters are estimated. Work on experimental designs for DCEs has almost always assumed that the particular design one uses does not influence the nature of the responses to the choice tasks other than via the precision with which parameters are estimated. We examine this assumption by testing whether particular experimental designs influence the probability that a separating hyperplane exists that perfectly predicts the observed choices at the individual level in four DCE data sets. Our empirical results suggest that the particular statistical design used can influence the nature of the choice responses obtained. © 2016, Springer Science+Business Media New York. The number of conventionally fuelled motor vehicles in use is increasing worldwide despite warnings about finite fossil fuel and the detrimental impacts of burning such fuels. While electric vehicles, the subject of much research, generate far less emissions and offer the potential for power from renewable sources, they are yet to significantly penetrate the market. Tangible barriers such as price and vehicle range still exist, but consumer attitudes also drive behaviour. This paper examines attributes in a framework relatively new to transportation and energy policy; best–worst scaling. This method is widely considered an improvement over traditional methods of eliciting attitudes and beliefs, where respondents select attitudes they find best or worst from a set of attitudinal statements. To avoid potential endogeneity bias, we jointly model attitudes and choice for the first time with best–worst data. It is found that energy crisis, air quality and climate change concerns influence behaviour with respect to vehicle range and that travel behaviour change and forms of government incentives are needed influences on behaviour with respect to vehicle emissions. It is argued that correctly modelling attitudes reduces the error term of the vehicle choice model and provides policy makers with an improved lens for assessing behaviour. Additionally, the methods described within can easily be adapted to other policy scenarios. © 2017 Wolters Kluwer Health, Inc. All rights reserved. Background: The care of kidney transplant recipients involves a balance between maximizing graft survival and serious adverse outcomes. This study aimed to quantify patients' preferences and trade-offs for important outcomes after transplantation. Methods: A best-worst scaling survey, analyzed by multinomial-logit models, was used to calculate normalized preference scores (0, best; 1, worst), for varying years of graft duration and risk of dying before graft failure, cancer, cardiovascular disease, diabetes, infection, anxiety/depression, diarrhoea/nausea, and weight gain. Willingness to trade years of graft survival to minimize the risk of adverse outcomes was calculated. Results: Ninety-three transplant recipients from 2 Australian transplant units and an on-line panel (aged 18-69 years (mean time since transplantation, 7 years) completed the survey. Graft loss at 1 year was the least desirable outcome (mean preference value, 0.0:95% confidence intervals, -0.05 to 0.05) and worse than a 100% risk of dying before graft loss (0.17: 0.12-0.23). Graft duration of 5 years had the same preference scores (ie, as bad) as the maximum risk of all adverse outcomes including a 100% risk of dying before graft failure. To achieve zero risk of cancer, dying, and cardiovascular disease participants were only willing to trade 3.1(2.1 to 4.7), 1.7(1.1 to 2.5), and 1.2(0.8 to 1.8) years of graft survival, respectively, and less than 1 year for all other outcomes. Conclusions: Transplant recipients regarded graft loss as worse than death and showed minimal willingness to trade a reduction in this outcome with an improvement in any other outcome. End of life care may have elements of value that go beyond health. A generic measure of the benefits of end of life care could be helpful to decision makers. Such a measure, based on the capability approach, has recently been developed: the ICECAP Supportive Care Measure. This paper reports the first valuation exercise for that measure, with data from 6020 individuals collected from an on-line general population panel during June 2013. Individuals were asked to complete a stated choice experiment that combined best-worst scaling and a standard discrete choice experiment. Analysis of the best-worst data used limited dependent variable models within the random utility framework including the multinomial logit models and latent class choice model analysis. Exploratory steps were taken to determine the similarity of the best-worst and DCE data before formal testing and pooling of the two data sources. Combined data were analysed in a heteroscedastic conditional logit model adjusting for continuous scale. Two sets of tariffs were generated, one from the best-worst data capturing only main effects, and a second from the pooled data allowing for two-way interactions. Either tariff could be used in economic evaluation of interventions at the end of life, although there are advantages and disadvantages with each. This extensive valuation exercise for the ICECAP Supportive Care Measure, with a large number of members of the general public, could be complemented in the future with best-worst scaling studies amongst those experiencing the end of life. Rose, AM, Rose, JM, Suh, I & Ugrin, JC 2017, 'Unanticipated effects of restricted stock on managers' risky investment decisions', vol. 38, no. C, pp. 106-112. We conduct a laboratory experiment to examine whether holding periods for stock compensation affect managers' willingness to take large risks for their firms in order to pursue personal gains. The theoretical lens through which we examine these issues involves the concepts of current-self (the person you are now) and future-self (the person you will be in the future). Results indicate that long holding requirements can decrease manager's feelings of connectedness to their future selves. This change in decision perspective increases managers' willingness to accept risks for their firms when the potential personal rewards of risk taking are high. The findings call into question the current view held by regulators and academics that long holding requirements will consistently reduce adverse consequences of performance-based executive compensation. We find that long holding requirements can actually increase managers' willingness to pursue investments with very low chances of success when large performance incentives are available. © 2015, Springer Science+Business Media Dordrecht. The increasing use of internet surveys for stated preference studies raises questions about the effect of the survey mode on welfare estimates. A number of studies have conducted convergent validity investigations that compare the use of the internet with other survey implementation modes such as mail, telephone and in-person. All, but one, of these comparison studies is confounded different sample frames for the different modes of survey implementation. In this study we investigate differences in internet and mail survey modes holding the sample frame constant. This is done in the context of a choice-modelling study of improvements in the River Murray in Australia. We also investigate sample frame holding the survey mode (mail) constant. We find that survey mode (internet vs. mail) influences welfare estimates, and the internet welfare estimates are about 78 % of the mail welfare estimates on average. There is not a significant effect of sample frame (internet panel vs. postal addresses) on welfare estimates for implementation of a mail survey. © 2016 by the authors. The estimation and policy use of spatially explicit discrete choice models has yet to receive serious attention from practitioners. In this study we aim to analyze how geographical variables influence individuals' sensitivity to key features of heating systems, namely investment cost and CO 2 emissions. This is of particular policy interest as heating systems are strongly connected to two major current environmental issues: emissions of pollutants and increased use of renewable resources. We estimate a mixed logit model (MXL) to spatially characterize preference heterogeneity in the mountainous North East of Italy. Our results show that geographical variables are significant sources of variation of individual's sensitivity to the investigated attributes of the system. We generate maps to show how the willingness to pay to avoid CO 2 emissions varies across the region and to validate our estimates ex-post. We discuss why this could be a promising approach to inform applied policy decisions. © The Author 2016. Published by Oxford University Press on behalf of the British Geriatrics Society. All rights reserved. For Permissions, please email: journals.permissions@oup.com. BACKGROUND: the smallest worthwhile effect (SWE) of an intervention is the smallest treatment effect that justifies the costs, risks and inconveniences associated with that health intervention.OBJECTIVE: to estimate the SWE of exercise programs designed to prevent falls among older people and to compare estimates derived by two methodological approaches.STUDY DESIGN AND SETTING: discrete choice experiment (n = 220) and benefit-harm trade-off (subsample n = 66) methods were used.PARTICIPANTS: community-dwelling older people who reported a past fall or a mobility limitation answered online or face-to-face questionnaires.RESULTS: a substantial proportion of participants (82% in the discrete choice experiment and 50% in the benefit-harm trade-off study) did not consider that participation in the proposed exercise programs would be worthwhile, even if it reduced their risk of falling to 0%. Among remaining participants, the average SWE of participation in an exercise program was an absolute reduction in the risk of falling of 35% (standard deviation [SD] = 13) in the discrete choice experiment and 16% (SD = 11) in the benefit-harm trade-off study.CONCLUSIONS: many participants did not consider the hypothetical falls' risk reduction of the proposed exercise programs to be worth the associated costs and inconveniences. Greater community awareness of the fall prevention effects of exercise for older people is required. Beck, M.J., Chorus, C.G., Rose, J.M. & Hensher, D.A. 2013, 'Vehicle purchasing behaviour of individuals and groups regret or reward? ', Journal of Transport Economics and Policy, vol. 47, no. PART3, pp. 475-492. Random utility maximisation is the pre-eminent behavioural theory used to model choices. An alternative paradigm, however, is random regret minimisation. While the majority of the literature examines the choices of individuals, this paper compares the choices of groups, as well as individuals, in both the utility maximisation and regret minimisation frameworks, and explores the influence household members have with respect to an automobile purchase decision within an interactive agency choice experiment. Regret minimisation is shown to be the preferred behavioural mechanism for groups and individuals within groups who shoulder a high degree of responsibility for the choice of the group. Hensher, D.A., Rose, J.M. & Collins, A.T. 2013, 'Understanding buy-in for risky prospects incorporating degree of belief into the ex-ante assessment of support for alternative road pricing schemes', Journal of Transport Economics and Policy, vol. 47, no. PART3, pp. 453-473. Within the discrete choice modelling literature, there has been growing interest in including reference alternatives within stated choice survey tasks. This paper analyses asymmetric discrete choice models by comparing specifications expressed as deviations from the reference point and specifications expressed in absolute values. The results suggest that the most suitable specification reflects the way the attribute levels are presented to respondents, either in terms of deviations or absolute values. Results further suggest significant differences on the willingness to pay and willingness to accept estimates obtained from the two different specifications proposed. © 2013 Elsevier Ltd.
Rose, J.M., Hess, S. & Collins, A.T. 2013, 'What if my model assumptions are wrong? : The impact of non-standard behaviour on choice model estimation', Journal of Transport Economics and Policy, vol. 47, no. PART2, pp. 245-263. Random coefficient logit (RCL) models containing random parameters are increasingly used for modelling travel choices. Willingness-to-pay (WTP) measures, such as the value of travel time savings (VTTS) are, in the case of RCL models estimated in preference space, ratios of random parameters. In this paper we apply the Delta method to compute the confidence intervals of such WTP measures, taking into account the variance–covariance matrix of the estimates of the distributional parameters. The same Delta method can be applied when the model is estimated in WTP space. Compared to simulation methods such as proposed by Krinsky and Robb, the Delta method is able to avoid most of the simulations by deriving partly analytical expressions for the standard errors. Examples of such computations are shown for different combinations of random distributions. We present a highly structured, online, interactive choice environment containing a large number of alternatives, a search tool that eliminates alternatives that fail specified criteria, and a sort tool. A conceptual framework is developed that links tool usage and preference heterogeneity, and tested in the context of long-haul flight choice. Individuals who sort on price are more price sensitive; individuals who search on certain attributes have a greater marginal (dis)utility for that attribute; and individuals who perform certain non-price searches have a lesser price disutility. The method shows promise as a means for providing a richer picture of preference heterogeneity. In this study we show how the coexistence of different decision rules can be accommodated in discrete choice models. Specifically, in this paper we present a generic hybrid model specification that allows for some attributes being processed using conventional linear-additive utility-maximization-based rules, while others are being processed using regret-minimization-based rules. We show that on two revealed and stated choice datasets particular specifications of hybrid models, containing both regret-based and utility-based attribute decision rules, outperform—in terms of model fit and out-of-sample predictive ability—choice models where all attributes are assumed to be processed by means of one and the same decision rule. However, in our data differences between models are very small. Implications, in terms of marginal willingness-to-pay measures (WtP), are derived for the different hybrid model specifications and applied in the context of the two datasets. It is found that in the context of our data hybrid WtP measures differ substantially from conventional utility-based WtP measures, and that the hybrid WtP specifications allow for a richer (choice-set-specific) interpretation of the trade-offs that people make. Introduction: This project concerns the identification of the smallest worthwhile effect (SWE) of exercise-based programmes to prevent falls in older people. The SWE is the smallest effect that justifies the costs, risks and inconveniences of an intervention and is used to inform the design and interpretation of systematic reviews and randomised clinical trials. Methods and analysis: This study will comprise two different methodological approaches: the benefitharm trade-off method and the discrete choice experiment to estimate the SWE of exercise interventions to prevent falls in older people. In the benefit-harm trade-off method, hypothetical scenarios with the benefits, costs, risks and inconveniences associated with the intervention will be presented to each participant. Then, assuming a treatment effect of certain magnitude, the participant will be asked if he or she would choose to have the intervention. The size of the hypothetical benefit will be varied up and down until it is possible to identify the SWE for which the participant would choose to have the intervention. In the discrete choice experiment, the same attributes (benefits, costs, risks and inconveniences) with varying levels will be presented as choice sets, and participants will be asked to choose between these choice sets. With this approach, we will determine the probability that a person will consider the effects of an intervention to be worthwhile, given the particular costs, risks and inconveniences. For each of the two approaches, participants will be interviewed in person and on different occasions. A subsample of the total cohort will participate in both interviews. Ethics and dissemination: This project has received Ethics Approval from the University of Sydney Human Ethics Committee (Protocol number: 14404). Findings will be disseminated through conference presentations, seminars and peer-reviewed scientific journals. David, A., Hensher & Rose, J.M. 2012, 'The influence of alternative acceptability, Attribute thresholds and choice response certainty on automobile purchase preferences', Journal of Transport Economics and Policy, vol. 46, no. 3, pp. 451-468. Two issues that reflect how individuals make travel or vehicle purchase choices are the relevance of attribute levels associated with alternatives, and the extent to which the respondent is certain of actually choosing the alternative that they indicated was their preferred alternative. This paper studies the influence of acceptability of each alternative, attribute thresholds, and choice response certainty on automobile purchase preferences, 'scaling' of the standard utility expression to account for perceived acceptability of each alternative, and perceived attribute thresholds. A comparison of the models shows the significant improvement in predictive power with inferred direct elasticities that are substantially different. Using a stated preference experiment, this study investigates the infrastructure reporting preferences of 103 public sector managers having experience with the use and interpretation of specialized infrastructure information. The results of the ordered mixed logit analysis indicate that public sector managers tend to choose more comprehensive and detailed financial and nonfinancial disclosures in circumstances where: the physical condition of the infrastructure is in a poor state of repair; governments may not be placing much priority on funding existing infrastructure; the financial costs to maintain infrastructure are high; infrastructure has high importance to service delivery; and government agencies have made significant investments in public infrastructure. The results of this study suggest that a blend of GASB and AASB requirements for infrastructure assets (i.e., condition assessments in combination with replacement costs) could enhance the overall usefulness of infrastructure information, especially among decision makers who make regular use of this information. OBJECTIVE: Long-term sustainability of health services requires an understanding of patients' values and preferences. The aim of this study was to evaluate patients' preferences as well as their willingness-to-pay (WTP) for a community pharmacy-delivered specialized asthma service using a discrete choice experiment (DCE). METHODS: Patients with asthma in New South Wales, Australia, who had recently experienced a specialized asthma management service at their pharmacy were mailed DCE questionnaires. Patients were asked to choose between two hypothetical service models with varying attributes. Multinomial logit models estimated patients' marginal WTP. RESULTS: The study had a response rate of 47%. Patients greatly valued various aspects of the pharmacy-based specialized service and had marginal WTP values of AUD$18.00 for a private area, AUD$44.50 for lung function testing, AUD$9.18 for appointments with pharmacists, and AUD$22.80 for provision of comprehensive advice on asthma and its medications. The marginal WTP for the overall service was AUD$94.86. CONCLUSIONS: The findings of the study indicate that patients greatly value and are willing to pay for asthma services in pharmacies. The study results will help pharmacists and policy advisors in the development of individualized asthma services that patients will use, are willing to pay for, and thus are economically viable in the future. Hatton MacDonald, D., Morrison, M.D., Rose, J.M. & Boyle, K.J. 2011, 'Valuing a multistate river: the case of the River Murray', vol. 55, no. 3.
to elicit willingness to pay for improvements in environmental quality. River Murray, and restoring water bird habitat in the	Coorong. lower willingness to pay than respondents in other states. Transplantation is the treatment of choice for people with severe organ failure. However, demand substantially exceeds supply of suitable organs; consequently many people wait months, or years to receive an organ. Reasons for the chronic shortage of deceased organ donations are unclear; there appears to be no lack of 'in principle' public support for organ donation. The PAraDOx Study examines community preferences for organ donation policy in Australia. The aims are to 1) determine which factors influence decisions by individuals to offer their organs for donation and 2) determine the criteria by which the community deems the allocation of donor organs to be fair and equitable. Qualitative and quantitative methods will be used to assess community preferences for organ donation and allocation. Focus group participants from the general community, aged between 18-80, will be purposively sampled to ensure a variety of cultural backgrounds and views on organ donation. Each focus group will include a ranking exercise using a modified nominal group technique. Focus groups of organ recipients, their families, and individuals on a transplant waiting list will also be conducted. This paper uses an attribute-based stated choice experiment with a design adopted from Hensher's Design of Designs study, originally implemented in Australia, to investigate the role, in Taiwan, of the numbers of alternatives, choice sets, attributes, attribute levels, and the range of attribute levels, on choice response and implied willingness to pay for specific attributes in the context of car commuter choice of route. Computer-assisted personal interviews were conducted in Taichung City, Taiwan, to solicit data on commuter route choices. A series of multinomial logit models were estimated to investigate the effects of design dimensions on car commuters' willingness to pay (WTP) for travel time savings and reduced time variability. A comparison is also made between the findings from Taichung, Taiwan and Sydney, Australia, providing insights into differences in the role of each design dimension and consequent WTP estimates between Taichung City and Sydney. Allocation decisions in emergency medicine must occur when demand for emergency services exceeds supply. In many circumstances, strong clinical or cost evidence upon which to base allocation decisions is lacking. In these circumstances, patient or community preference may be used to inform decisions. If preference is to be incorporated into allocation decision-making, scientifically rigorous quantitative methods should be chosen for measuring preference. This article describes the theoretical background, advantages, risks and applications of discrete choice experiments for measuring patient preference in emergency medicine. In 2009, the New South Wales government announced that it would be proceeding with a feasibility study to identify the patronage potential of a new Metro rail system for Sydney. As part of this study, a new modal choice study was undertaken to establish the role of traditional attributes such as travel times and costs (and more recently, reliability) but also somewhat neglected influences such as crowding, where the later has a critical role in the calculation of capacity needs at railway stations. This paper focuses on the commuter segment and develops a new stated choice experiment in which travellers are able to compare the proposed new Metro with existing available modal alternatives for access, linehaul and egress trip stages, with a particular emphasis on the incorporation of crowding represented by the availability of a seat vs. standing in existing and new public transport modes. We present the error component choice model together with estimates of mode-specific willingness to pay for travel time components, service frequency and crowding, that latter expressed in terms of the probability of getting a seat and the probability of avoiding standing. © 2011 Springer-Verlag. This paper details the development and application of a Stated Choice (SC) experiment designed to explore motorists sensitivities to a kilometre-based charging regime focused around crash-risk reduction. Responses are gathered through a SC experiment that pivots off actual driving behaviour collected over a five week period using an in-vehicle Global Positioning System (GPS) device. This provision of greater reality using revealed preference (RP) information ensures that the alternatives in the SC experiment are embedded in reality, providing motorists with a more realistic context for their choices. The study demonstrates with the improved affordability, power and consumer familiarity with GPS devices, the integration of GPS recorded travel information with SC experiments is a now a feasible solution which can help enrich the quality of the reference alternatives in SC experiments in the future. Background: Significant gaps exist between guidelinesrecommended therapies for cardiovascular disease prevention and current practice. Fixed-dose combination pills ('polypills') potentially improve adherence to therapy. This study is a preference study undertaken in conjunction with a clinical trial of a polypill and seeks to examine the underlying reasons for variations in treatment adherence to recommended therapy. Methods/design: A preference study comprising: (1) Discrete Choice Experiment for patients; and (2) qualitative study of patients and providers. Both components will be conducted on participants in the trial. A joint model combining the observed adherence in the clinical trial (revealed preference) and the Discrete Choice Experiment data (stated preference) will be estimated. Estimates will be made of the marginal effect (importance) of each attribute on overall choice, the extent to which respondents are prepared to trade-off one attribute for another and predicted values of the level of adherence given a fixed set of attributes, and contextual and socio-demographic characteristics. For the qualitative study, a thematic analysis will be used as a means of exploring in depth the preferences and ultimately provide important narratives on the experiences and perspectives of individuals with regard to adherence behaviour. Ethics and dissemination: Primary ethics approval was received from Sydney South West Area Health Service Human Research Ethics Committee (Royal Prince Alfred Hospital zone). In addition to usual scientific forums, the findings will be reported back to the communities involved in the studies through sitespecific reports and oral presentations. This paper presents a qualitative assessment of the risk perceptions held by key Australian stakeholder groups in the context of tollroads operated under the public-private-partnership model. The findings confirm that experience accumulated in recent years has contributed toward the betterment of risk-sharing optimisation amongst the contracting parties. The knowledge acquired through in-depth interviews supports the common view that equitable risk sharing is the vital ingredient of value for money. The proposition that the private sector is better equipped to manage commercial risks involving economic decision making whilst risks that have embedded unquantifiable social and public values and those in the domain of public governance are best left with government alone, appears to be replete with refutable implications. Public perception is a malleable concept and should be managed by both sectors. © 2010 Elsevier Ltd.
Rose, JM & Masiero, L 2010, 'A Comparison of the Impacts of Aspects of Prospect Theory on WTP/WTAEstimated in Preference and WTP/WTA Space', EUROPEAN JOURNAL OF TRANSPORT AND INFRASTRUCTURE RESEARCH, vol. 10, no. 4, pp. 330-346. BACKGROUND: Organs for transplantation are a scarce community resource but community preferences and how they are incorporated into allocation policies are unclear. This systematic review aimed to ascertain community preferences for organ allocation and the principles underpinning these preferences. METHODS: Medline, Embase, PsycINFO, EconLit, and gray literature databases were searched. Quantitative data were extracted, and a qualitative textual synthesis of the results and conclusions reported in each included study was performed. RESULTS: Fifteen studies involving more than 5563 respondents were included. Seven themes describing community preferences for organ allocation were identified: (1) maximum benefit, to achieve maximum health gain in recipient survival and quality of life; (2) social valuation, to base preferences on societal gain; (3) moral deservingness, to consider the "worthiness" of recipients based on their social standing and lifestyle decisions; (4) prejudice, to make a judgement based on personal ideologic viewpoints; (5) "fair innings," to provide an organ preferentially to the younger recipient giving opportunity for a "normal" life span and to those waiting for a first organ rather than a retransplant; (6) "first come, first served," to allocate the organ to recipients wait-listed the longest; and (7) medical urgency, to allocate based on illness severity and saving life. CONCLUSIONS: Community preferences for organ allocation hinge on a complex balance of efficiency, social valuation, morality, fairness, and equity principles. Being a community-held resource, effective ways to identify and incorporate community preferences into allocation algorithms for solid organ transplantation are warranted. Hensher, DA, Rose, JM & Black, I 2008, 'Interactive agency choice in automobile purchase decisions: The role of negotiation in determining equilibrium choice outcomes', JOURNAL OF TRANSPORT ECONOMICS AND POLICY, vol. 42, pp. 269-296. Scarpa, R & Rose, JM 2008, 'Design efficiency for non-market valuation with choice modelling: how to measure it, what to report and why *', Australian Journal of Agricultural and Resource Economics, vol. 52, no. 3, pp. 253-282.
reporting in non-market valuation and for future work on design research. Copyright 2008 The Authors. Journal compilation 2008 Australian Agricultural and Resource Economics Society Inc. and Blackwell Publishing Asia Pty Ltd. This paper compares different types of simulated draws over a range of number of draws in generating Bayesian effcient designs for stated choice (SC) studies. The paper examines how closely pseudo Monte Carlo, quasi Monte Carlo and Gaussian quadrature methods are able to replicate the true levels of Bayesian effciency for SC designs of various dimensions. The authors conclude that the predominantly employed method of using pseudo Monte Carlo draws is unlikely to result in leading to truly Bayesian effcient SC designs. The quasi Monte Carlo methods analysed here (Halton, Sobol, and Modifed Latin Hypercube Sampling) all clearly outperform the pseudo Monte Carlo draws. However, the Gaussian quadrature method examined in this paper, incremental Gaussian quadrature, outperforms all, and is therefore the recommended approximation method for the calculation of Bayesian effciency of SC designs. This paper synthesizes evidence on growing public transport patronage. The paper firstly examines barriers to patronage growth before reviewing evidence on endogenous factors (those within the control of operators and regulators) and exogenous factors (those factors such as socio-economic influences which are not controlled by regulators/operators) which affect public transport patronage. Suggested barriers include capacity, network transfers, perceptions and investment/subsidy needs. Evidence is presented suggesting that reliability, service levels and fares are the principal tools to adopt in growing patronage. Car ownership, income and population growth, employment and urban sprawl are amongst the exogenous factors identified as influencing patronage. © 2008 Elsevier Ltd. All rights reserved. We review the basic principles for the evaluation of design efficiency in discrete choice modelling with a focus on efficiency of WTP estimates from the multinomial logit model. The discussion is developed under the realistic assumption that researchers can plausibly define a prior belief on the range of values for the utility coefficients. D-, A-, B-, S- and C-errors are compared as measures of design performance in applied studies and their rationale is discussed. An empirical example based on the generation and comparison of fifteen separate designs from a common set of assumptions illustrates the relevant considerations to the context of non-market valuation, with particular emphasis placed on C-efficiency. Conclusions are drawn for the practice of reporting in non-market valuation and for future work on design research. Individuals processing the information in a stated choice experiment are asked to evaluate a set of attributes offered and to choose their most preferred alternative. It has always been thought that some attributes are not attended to in this process for many reasons, including a coping strategy to handle their perception of the complexity of the choice task. However analysts proceed, with rare exception, to estimate discrete choice models as if all attributes have influenced the outcome to some degree. In this paper we investigate the implications of bounding the attribute processing task by attribute elimination through not attending to one or more attributes. Using a sample of car non-commuters in Sydney we estimate a mixed logit model in which all attributes are assumed to be attended to, and models which assume that certain attribute(s) are not attended to, based on supplementary information provided by respondents. The supplementary information is accounted for in a deterministic and a stochastic way; the latter in recognition of the analyst's lack of full information on why a specific attribute processing (AP) strategy was adopted by each sampled individual. We compare the value of travel time savings distribution under alternative attribute processing regimes. As expected, there are noticeable variations in the mean and standard deviation willingness to pay (WTP) across the three AP strategies. © 2005 Elsevier Ltd. All rights reserved. The growing popularity of mixed logit to obtain estimates of willingness to pay (WTP) has focussed on the distribution of the random parameters and the possibility of estimating deep parameters to account for heterogeneity around the mean of the distribution. However the possibility exists to add further behavioural information associated with the variance of the random parameter distribution, through parameterisation of its heterogeneity (or heteroskedasticity). In this paper we extend the mixed logit model to account for this heterogeneity and illustrate the implications this has on the moments of the willingness to pay for travel time savings in the context of commuter choice of mode. The empirical study highlights the statistical and behavioural gains but warns of the potential downside of exposing the distribution of the parameterised numerator and/or denominator of the more complex WTP function to a sign change and extreme values over the range of the distribution. © 2005 Elsevier Ltd. All rights reserved. Hensher, DA, Greene, WH & Rose, JM 2006, 'Deriving Willingness-to-Pay Estimates of Travel-Time Savings from Individual-Based Parameters', vol. 38, no. 12, pp. 2365-2376. There is a small but growing literature that promotes the derivation of distributions of willingness-to-pay (WTP) estimates using information specific to each individual observation. These are referred to as individual conditional distributions, in contrast to approaches that rely on unconditional distributions that use random assignment in the construction of WTP distributions within a sampled population. The interest in alternative specifications is in large measure attributed to the search for empirical ways of deriving the WTP distribution that satisfies a behaviourally acceptable sign and range over the entire domain. In this paper we examine both conditional and unconditional approaches to establishing WTP distributions within the context of a mixed logit model. We find that calculating WTP measures from ratios of individual-level parameters in contrast to drawing them from unconditional population distributions empirically reduces the incidence of extreme values. Our results suggest that although problematic estimates cannot be ruled out, the use of the extra information on each individual's choices is a valuable input into the derivation of WTP distributions. Hensher, DA & Rose, JM 2005, 'Respondent behavior in discrete choice modeling with a focus on the valuation of travel time savings', Journal of Transportation and Statistics, vol. 8, no. 2, pp. 17-30. For models of discrete choice and their parameter estimates we examine the impact of assuming that all attributes are deemed relevant to some degree in stated choice experiments, compared with a situation where some attributes are excluded (i.e., not attended to) by some individuals. Using information collected exogenous of the choice experiment on whether respondents either ignored or considered each attribute of the choice task, we conditioned the estimation of each parameter associated with each attribute and compare, in the context of tolled vs. free routes for noncommuting car trips, the valuation of travel time savings under the assumption that all attributes are considered and the alternative assumption of relevancy. We show empirically that accounting for the relevance of attributes will have a notable influence on the valuation of travel time savings. Over the past ten years, the use of the Internet and e-mail as communication tools has become ubiquitous. In the survey arena, the rising costs of gathering data have been partly compensated by the use of the internet and e-based technologies which offer a range of new, relatively cost effective survey design and delivery options. This paper reports on two studies where Microsoft Excel was used to design and gather data without the additional investment associated with specialist programs. Study one examines the development of a multi-attribute survey conducted to create a new scale using a local (Australian) population of students. The second describes the use of Excel in a stated choice experiment that was sent to an international sample of museum managers. These studies show that it requires minimal programming skill on behalf of the researcher whilst offering the many of the cost, administrative and questionnaire design benefits seen with specialist software and Internet delivery. We conclude that Microsoft Excel can be considered when designing online surveys as it provides a wide range of features and benefits that allow for flexible, rich instrument design and fast, potentially accurate, data collection, checking and entry. © 2005 Australian and New Zealand Marketing Academy. Aim. To evaluate the impact of hepatitis B virus (HBV) on US health care system, we reviewed the Organ Procurement and Transplantation (OPTN, formerly UNOS) HBV database. Method. We reviewed records of liver transplantations (LTx) performed in the United States listed for the diagnoses of HBV between 1993 and mid-October 2004. Both acute as well as chronic cases were included. Coinfection with hepatitis C virus was excluded from study. The specific states selected for review were chosen from those areas that are receiving large numbers of new immigrants from high HBV endemic areas (ie, Texas, Pennsylvania, California, New York, and Florida). One-, 3-, and 5-year patient survival rates for both cadaveric and living related donors were analyzed. Survival rates were obtained from OPTN database as Kaplan-Meyer survival test. Results. Between 1993 and mid-October 2004, 53,312 LTx had been performed nationwide. Of these, 2314 (4.34%) were performed for the diagnosis of HBV; 1816 cases (78%) were due to chronic HBV infection (45 of them were living donor LTx) and 498 cases (22%) were due to HBV-induced acute liver failure (seven of them were living donor LTx). Three- and 5-year survival rates of chronic HBV-related LTx patients were better than acute HBV-related and overall LTx patients. Conclusion. HBV is generally considered to have a minor health significance by many community gastroenterologists. With growing immigration from overseas, it may eventually have a higher impact on LTx. Therefore, it is crucial to further educate gastroenterologists and primary care physicians caring for this specific group of patients. © 2005 by Elsevier Inc. All rights reserved. This paper establishes the rationale for a method that recognises the interdependency of choices made by two or more agents, known as interactive agency choice experiments (IACEs), and the behavioural implications of maintaining the assumption of agency exogeneity in discrete choice models. We model the interdependent decision making process using the IACE method to illustrate how to capture information on preferences for members of a decision making group. An empirical study of employee and employer choices of distributive work practices highlights the role that other agents play in influencing the decisions of individual agents. The IACE reveals barriers to agency choice that can be better understood and minimised by each agent having more information on the other agent's preferences and willingness to cooperate that is lacking in the agent-independence modelling framework. © 2003 Elsevier Ltd. All rights reserved. INTRODUCTION: Early allograft dysfunction (EAD) is a rare but serious complication encountered among patients undergoing liver transplant surgery. Total plasma exchange (TPE) in EAD has been suggested, but its role is still considered investigational. We retrospectively assessed the efficacy of TPE in EAD and its impact on other parameters of liver function. MATERIALS AND METHODS: Between 1995 and 2001, 25 orthotopic liver transplant recipients developed EAD, which was defined as early postoperative prothrombin time (PT) >17 seconds, aspartate aminotransferase (AST) and/or alanine aminotransferase (ALT) >2500 IU/L, and/or the presence of hepatic encephalopathy, and development of renal failure. Daily TPE was performed using the Cobe Spectra TPE (Gambro) for 4 hours until an adequate clinical response, the patient underwent retransplantation, or the patient died. International normalizing ratio (INR), partial thromboplastin time (PTT), fibrinogen, ALT, AST, gamma-glutanyl transpeptidase (GGT), blood urea nitrogen (BUN), ammonia, and total bilirubin were analyzed before and after TPE. Student t and chi-square tests were used for statistical analysis. RESULTS: Twenty-five patients with EAD included 13 females, 12 males of mean age 42.3 years (range, 1-63 years). Coagulopathy and hyperbilirubinemia significantly improved with TPE. Nineteen patients (76%) survived and 2 required retransplantation. Mean number of TPE sessions was 4.3. CONCLUSION: TPE was effective to correct coagulopathy and improve liver function. These results suggest the benefit of potential temporary liver support until recovery or retransplantation, in the absence of sepsis or multi-system organ failure. Stopher, PR, Bullock, P, Rose, JM & Pointer, G 2003, 'Simulating household travel survey data in Australia: Adelaide case study', Road and Transport Research, vol. 12, no. 3, pp. 29-44. Travel surveys have always been a problematic, high-cost activity for metropolitan planning organisations. A method has been developed in the United States to synthesise household travel survey data from a combination of census and national transport survey data sources. The procedure involves creating distributions of pertinent variables (e.g. numbers of trips by purpose, mode and time of day of travel) that can be used to estimate travel-demand models. A sample of local residents is then drawn from disaggregate census data, providing detailed information on the socioeconomic characteristics of the sample. By using these characteristics, travel data are simulated from the transport data distributions by Monte Carlo simulation. This paper describes the application of this procedure to Adelaide, South Australia, for which an actual household travel survey exists from 1999. Results are compared between the synthetic and real data sets to determine the closeness of the match. After using travel characteristics derived from US data, it is concluded that the procedure performs about as well as the process was shown to perform in previous simulations for Dallas, Salt Lake City and Baton Rouge. This process holds out considerable promise for replacing the collection of larger and more expensive samples of household travel data, particularly for small and medium-sized urban areas. Hensher, D, Mulley, C & Rose, JM 2016, '9781447326168' in Munoz, JC & Paget-Seekins, L (eds), Restructuring Public Transport Through Bus Rapid Transit: An International and interdisciplinary perspective., Polity Press, Bristol, United Kingdom, pp. 209-230. This chapter focuses on the debate on the potential role of Bus Rapid Transit (BRT) in comparison with light rail transit (LRT) in order to understand the key perceived barriers that mitigate against support for BRT in the presence of LRT options, a common context in many metropolitan areas. A best-worst methodology is used to design preference experiments, one associated with design characteristics and the other with service descriptions, in which a number of statements about bus, BRT and LRT, are presented in sets of four, and respondents are asked to indicate which one they perceive as the best circumstance and which one they perceive as the worst. A third experiment focuses on voting preferences and a series of statements that are not public transport mode specific. The empirical evidence, drawn from Australia, can assist in the development of a strategy to promote BRT and to break through the barriers that have created the modal misperceptions so common in many geographical jurisdictions. This book provides a comprehensive review of environmental benefit transfer methods, issues and challenges, covering topics relevant to researchers and practitioners. The past decade has seen a large and growing interest in the study of mate preferences (see Hitsch et al., 2010 for a recent contribution including a very useful review of past work). Various studies have attempted to derive mate preferences by means of the estimation of choice models on observed (stated or revealed) choices. Estimated choice models are generally built on the premises of utility-maximization: i.e., the decision-maker is postulated to select a mate (or a date) from which he or she expects to derive the highest utility. In these studies, often a (variant of the) well-known multinomial logit (MNL) model is estimated, which is founded in random utility maximization (RUM) theory (e.g., Fisman et al., 2006; Banerjee et al., 2009; Hitsch et al., 2010). Although it goes without saying that this utilitarian approach to modeling mate preferences has resulted in many valuable insights, it leaves open the important question to what extent mate selection processes are in fact adequately represented by a utilitarian framework. Motivated by this question, this chapter compares utility-maximization based choice models with equally parsimonious counterparts that are based on regret-minimization premises. The focus on regret-based choice models is inspired by the notion put forward throughout the social sciences, that regret-minimization is an important determinant of choice behavior. Given that the vast majority of environmental goods are public goods not traded in real markets, the collection of high-quality data capable of eliciting reliable preference functions or estimating coherent welfare measures from surveyed respondents represents an extremely difficult task to accomplish in practice. Unlike other areas of economic study that deal primarily with private goods typically traded in real markets, the specific area of valuation related to the study of environmental and resource economics has, more than any other discipline, had to rely on stated intentions type techniques such as contingent valuation (CV) and stated choice (SC) methods in order to accomplish its goals. In this chapter, we are interested solely in SC surveys. In particular, this chapter deals specifically with the generation of experimental designs for environmental SC surveys. In reality, an experimental design is nothing more than a matrix of numbers that researchers use to assign values to the attributes of the alternatives present within the hypothetical choice tasks of SC surveys. By using experimental design theory, the assignment of these values occurs in some systematic (that is, non-random) manner. Li, Z, Hensher, DA & Rose, J 2011, 'Willingness to pay for travel time reliability in passenger transport: a review and some empirical evidence.' in Hensher, DA (ed), Transport Economics: Critical Concepts in Economics., Routledge, Oxford, United Kingdom, pp. 201-238. Hensher, DA & Rose, J 2011, 'Forthcoming: A short history of choice modelling.' in Hensher, DA & Rose, JM (eds), Choice Modelling: Foundational Contributions, Edward Elgar Publishers, Cheltenham, United Kingdom. Hensher, DA, Rose, J & Puckett, S 2009, 'Selective developments in choice analysis and a reminder about the dimensionality of behavioural analysis.' in Kitamura, R, Yoshi, T & Yamamoto, T (eds), The Expanding Sphere of Travel Behaviour Research, Selected Papers from the 11th International Conference on Travel Behaviour Research., Emerald Group Publishing Limited, United Kingdom, pp. 237-276. Bliemer, MCJ & Rose, J 2009, 'Designing Stated Choice Experiments: State of the Art' in Kitamura, R, Yoshi, T & Yamamoto, T (eds), The Expanding Sphere of Travel Behaviour Research, Selected Papers from the 11th International Conference on Travel Behaviour Research., Emerald Group Publishing Limited, United Kingdom, pp. 499-538. Campbell, D, Scarpa, R, Rose, J & Hess, S 2009, 'Using finite mixture models to accomodate outliers in discrete choice modelling. ', http://www.icmconference.org.uk/index.php/icmc/icmc2009/paper/viewFile/…, International Choice Modelling Conference, Yorkshire, United Kingdom. Caughey, GE, Huynh, E, Shakib, S, Rose, JM & Swait, J 2017, 'Influence of Medication Risks and Benefits on Patient and Clinician Preferences for Treatment in Multimorbidity: A Discrete-Choice Experiment', PHARMACOEPIDEMIOLOGY AND DRUG SAFETY, WILEY, pp. 447-447. Krueger, R, Rashidi, TH & Rose, J 2016, 'Adoption of Shared Autonomous Vehicles- A Hybrid Choice Modeling Approach based on a Stated Choice Survey. ', TRB 95th Annual Meeting Compendium of Papers, 95th Annual Meeting of the Transportation Research Board, Washington D.C., United States. Shared autonomous vehicles (SAVs) merge the concepts of conventional carsharing and taxi services with self-driving vehicles and could provide inexpensive mobility on-demand services. In addition, SAVs may facilitate the implementation of dynamic ride-sharing (DRS) schemes. A stated choice survey was conducted and analyzed, using an integrated choice and latent variable model to identify the characteristics of potential users of SAVs with and without DRS. The results indicate that service attributes may be critical determinants of SAV use and DRS acceptance. SAVs are more likely to be selected by young travelers and a strong relationship between the set of modes, which an individual frequently uses, and the propensity to choose SAVs is revealed. Policy implications with regard to how policy-makers should address SAVs to realize their environmental and societal benefits are derived. The results suggest that SAVs may be a major game changer in the mobility industry. Beck, MJ, Merkert, R & Rose, J 2016, 'Localized incidences of terrorism and their impact on perceived security of international air travel', https://trid.trb.org/view.aspx?id=1393866, 95th Annual Meeting of the Transportation Research Board, Washington D. C., United States. This paper aims to evaluate for the first the impact of local terrorism incidents on the perception of international travel security. The paper investigates attitudes towards air travel and security and determines if travellers are willing to experience even more invasive security measures in the (immediate) aftermath of a terrorist action, using empirical evidence from the Australian context. A diverse set of attitudinal questions and separate choice experiments are used to capture perceptions of route/destination security, security procedures that traveller agree with most or least, and the trade-offs in security procedures, time, money and threat detection that travellers are prepared to make. Howell, M, Wong, G, Rose, J, Tong, A, Craig, JC & Howard, K 2016, 'Kidney transplant patient preferences and trade-offs for outcomes after transplantation. ', American Transplant Conference, Boston, M.A..
Howard, K, Jan, S, Rose, J, Wong, G, Craig, JC, Irving, M, Tong, A, Chadban, S, Allenm, R & Cass, A 2015, 'Preference for policy options for deceased organ donation for transplantation. ', 4th International Choice Modeling Conference, International Choice Modelling Conference, Austin, Texas, U.S.A..
Rose, J & Bliemer, MCJ 2015, 'A unified theory of experimental design for stated choice studies. ', 4th International Choice Modelling Conference., Austin, Texas, U.S.A..
Rose, J 2015, 'Incorporating a budget constraint into discrete choice experiments. ', 4th International Choice Modeling Conference, International Choice Modelling Conference, Austin, Texas, U.S.A..
Rose, J & Beck, JM 2015, 'Power and the illusion of control: do individual's correctly anticipate how much influence they have within a household choice? ', 4th International Choice Modelling Conference, International Choice Modelling Conference, Austin, Texas. U.S.A..
Beck, MJ & Rose, J 2015, 'Stated preference modelling of intra-household decisions: can you approximate the bargaining space? ', 4th International Choice Modelling Conference, International Choice Modelling Conference, Austin, Texas, U.S.A..
Arana, J, Fifer, S & Rose, J 2015, 'Market structure and eliciting preferences in choice experiments. ', 4th International Choice Modelling Conference, International Choice Modelling Conference, Austin, Texas, U.S.A..
Beck, MJ, Rose, J & Merkert, R 2015, 'Air Safety & Security: Traveler perceptions post the Malaysian Air Disasters', 14th International Conference of the International Association for Travel Behaviour Research IATBR, International Conference on Travel Behavior Research, Berkshire, United Kingdom. Rose, J, Bliemer, MCJ & Chorus, C 2017, 'Detecting dominancy and accounting for scale differences when using stated choice data to estimate logit models. ', 14th International Conference of the International Association for Travel Behaviour Research IATBR, International Conference on Travel Behavior Research, Berkshire, United Kingdom. Howell, J, Wong, G, Rose, J, Tong, A, Craig, JC & Howard, K 2015, 'The relative preferences of recipients for outcomes after kidney transplantation: a best-worst scaling survey. ', 51st Annual Scientific Meeting of the Australian and New Zealand Society of Nephrology., Canberra, Australia. Rose, J, Beck, MJ & Hensher, DA 2012, 'The joint estimation of respondent-reported certainty and acceptability with choice. ', http://www.sciencedirect.com/science/article/pii/S0965856414002869, Transportation Research Board, Elsevier, Washington, D.C., U.S.A., pp. 141-152. Rose, J 2014, 'Interpreting discrete choice models based on Best-Worst data: A matter of framing. ', https://trid.trb.org/view.aspx?id=1289746, Annual Transportation Research Board Meeting, Washington D. C., U.S.A..
Beck, MJ, Rose, J & Greaves, S 2014, 'I can't believe your attitude: Eliciting attitudes and beliefs via best-worst scaling and jointly estimating their impact on electric vehicle choice. ', https://trid.trb.org/view.aspx?id=1290080, Annual Transportation Research Board Meeting, Washington D.C., U.S.A..
Collins, AT & Rose, J 2014, 'An investigation of taste and reference dependence heterogeneity. ', https://trid.trb.org/view.aspx?id=1323053, Annual Transportation Research Board Meeting, Washington, D.C., U.S.A..
Beck, MJ, Rose, J & Zhang, J 2014, 'Collecting Instant and Simultaneous Group Responses in Stated Preference Experiments. ', 10th International Conference on Transport Survey Methods, Leura, Australia. Rose, J 2014, 'Survey artefacts in stated choice experiments. ', 10th International Conference on Transport Survey Methods, Leura, Australia. Clifton, G.T. & Rose, J. 2013, 'A simulation of the simple Mohring Model to predict patronage and value of resources consumed for enhanced bus services. ', http://www.sciencedirect.com/science/article/pii/S0739885912000959, Thredbo 12, Durban, South Africa. Collins, A.T., Rose, J. & Hess, S. 2011, 'Choice Modelling with Search and Sort Data from Interactive Choice Experiment. ', http://www.sciencedirect.com/science/article/pii/S1366554513000963, Transportation Research Board, Elsevier, Washington, D.C., U.S.A..
Li, Z., Hensher, D.A. & Rose, J. 2013, 'Accommodating perceptual conditioning in the valuation of expected travel time savings for cars and public transport. ', http://www.sciencedirect.com/science/article/pii/S0739885912000960, Thredbo 12, Elsevier, Durban, South Africa. Howard, K, Jan, S, Rose, JM, Irving, M, Wong, G, Tong, A, Craig, JC, Chadban, S, Allen, RD & Cass, A 2013, 'Making difficult choices: Community preferences for allocation of donor organs', TRANSPLANTATION, pp. S264-S264. Howard, K, Jan, S, Rose, JM, Irving, M, Wong, G, Tong, A, Craig, JC, Chadban, S, Allen, RD & Cass, A 2013, 'Deciding to donate a family member's organs: What factors are most important to the community? Results of a best-worst scaling study', TRANSPLANTATION, pp. S254-S254. Howard, K, Jan, S, Rose, JM, Irving, M, Wong, G, Tong, A, Craig, JC, Chadban, S, Allen, RD & Cass, A 2013, 'I'd register, but I've never been asked! Key factors influencing decisions about whether to register as an organ donor', TRANSPLANTATION, pp. S255-S256. Merkert, R & Rose, J 2013, 'Performing longitudinal data envelopment analysis with missing data. ', https://www.euro-online.org/conf/euro26/treat_abstract?paperid=18115, 26th European Conference on Operational Research EUROXXVI, Rome, Italy. Rose, J, Hess, S, Greene, WH & Hensher, DA 2013, 'Generalized multinomial logit models: misinterpreting scale and preference heterogeneity in discrete choice models or untangling the untanglable? ', 92nd Annual Meeting of the Transportation Research Board, Annual Transportation Research Board Meeting, Washington, D.C., United States. Louviere, JJ, Hatton MacDonald, D & Rose, J 2013, 'Does it all come out in the wash? Tales from the laundry room. ', International Choice Modelling Conference, Sydney, Australia. Araña, JE, Fifer, S, León, CJ & Rose, J 2013, 'Hypothetical Bias or Model Misspecification? Evidences from the field. ', International Choice Modelling Conference, Sydney, Australia. Morrison, M, Hatton MacDonald, D, Boyle, L, Rose, J & Duncan, R 2013, 'Investigating Internet and Mail Implementation of Stated-Preference Surveys While Controlling for Differences in Sample Frames and Self-Selection Effects. ', International Choice Modelling Conference, Sydney, Australia. Rose, J, Louviere, JJ & Bliemer, MCJ 2013, 'Efficient and choice designs allowing for variable choice set sizes. ', International Choice Modelling Conference 2013, International Choice Modelling Conference, International Choice Modelling Conference, Sydney, Australia. Howard, K, Jan, S, Rose, J, Irving, M, Wong, G, Tong, A, Craig, JC, Chadban, S, Allen, R & Cass, A 2013, 'Factors that influence the decision to donate a family member's organs: results of a best-worst scaling study. ', International Health Economics Association 9th World Congress, International Health Economics Association (iHEA) Congress, Sydney, Australia. Rose, J & Bliemer, MCJ 2013, 'Incorporating analyst uncertainty in model specification of respondent processing strategies into efficient designs for logit models. ', http://2013.isiproceedings.org/Files/IPS018-P1-A.pdf, The 59th World Statistics Congress, Hong Kong. Fifer, S, Rose, J & Greaves, S 2012, 'Hypothetical bias in stated- choice experiments: Is it a problem? And if so how do we deal with it? ', Transportation Research Board, Washington, D. C..
Rose, J 2012, 'Moving beyond quantitative attributes in stated-response surveys: understanding the role of qualitative variables in travel choices. ', Transportaton Research Board, Washington D.C., U.S.A..
Beck, MJ, Rose, J & Hensher, DA 2012, 'Comparison of Group Decision Making Models: A Vehicle Purchasing Case Study', 13th International Conference of the International Association for Travel Behaviour Research IATBR, International Conference on Travel Behavior Research, Toronto, Canada. Beck, MJ, Fifer, S & Rose, J 2012, 'Hypothetical bias and certainty scaling: an examination of multiple methods of calibrating stated preference experiments. ', 13th International Conference of the International Association for Travel Behaviour Research IATBR, International Conference on Travel Behavior Research, Toronto, Canada. Collins, AT, Rose, J & Hensher, DA 2012, 'The random parameters attributes non-attendance model. ', 13th International Conference of the International Association for Travel Behaviour Research IATBR, International Conference on Travel Behavior Research, Toronto, Canada. Hess, S, Collins, AT & Rose, J 2012, 'Joint modelling of decision process and choice using data from an interactive stated choice survey on air travel behaviour. ', 13th International Conference of the International Association for Travel Behaviour Research IATBR, International Conference on Travel Behavior Research, Toronto, Canada. Rose, J, Hess, S, Daly, A & Bliemer, MCJ 2011, 'The impact of varying the number of repeated choice observations on the mixed multinomial logit model. ', Transport Research Board, Washington D.C., U.S.A..
Beck, MJ, Rose, J & Hensher, DA 2011, 'Identifying response bias in stated preference surveys: attitudinal influences in emisions charging and vehicle selection. ', https://trid.trb.org/view.aspx?id=1091446, Transportation Research Board, Washington, D.C., U.S.A..
Schaafsma, M, Brouwer, R & Rose, J 2011, 'Directional heterogeneity in WTP - space models for environmental valuation', European Association of Environmental and Resource Economists, 18th Annual Conference, European Association of Environmental and Resource Economists, Rome, Italy. Hensher, DA, Rose, J & Beck, MJ 2011, 'Are there specific design elements of choice experiments and types of people that influence choice response certainty? ', International Choice Modelling Conference 2011 Website Proceeidngs, International Choice Modelling Conference, Leeds, United Kingdom. The development of more realistic choice experiments has taken on board a number of suggestions in the broader hypothetical bias literature. One issue, in particular, is gaining increasing interest as a way to bridge the gap between the stated choice response and real choosing, as a way of increasing the confidence with which an individual would hypothetically purchase or use an alternative that is actually chosen in the choice experiment. In this paper we investigate the relationship between the respondent's response to a certainty question, defined on a 1-10 scale of surety, and features of the choice experiment that may have a bearing on the degree of confidence that can be placed on the stated choice, controlling for exogenous effects such as socioeconomic characteristics and attitudes to vehicle emissions. The focus on response certainty in this paper is as an external validity test. We find, using a generalised ordered logit model, compelling evidence that the number of acceptable alternatives and hence associated levels of attributes, together with the contrast of attribute levels of each designed alternative relative to an experienced status quo (or reference) alternative, play an important role in establishing certainty of response in a real market. The evidence should be taken on board in the future design of more realistic choice experiments. Chorus, C & Rose, J 2011, 'Selecting a date: A matter of regret and compromises. ', http://www.icmconference.org.uk/index.php/icmc/ICMC2011/paper/view/202, International Choice Modelling Conference, Leeds, United Kingdom. Rose, J & Clifton, GT 2011, 'Sensitivity testing of inputs into the Mohring Model: How sensitive are patronage and value of resources consumed estimates for enhanced bus services to changes to parameter inputs? ', Thredbo 12, International Conference Series on Competition and Ownership in Land Passenger Transport, Durban, South Africa. Tong, A, Howard, K, Jan, S, Cass, A, Rose, J, Chadban, S, Allen, R & Craig, JC 2011, 'Systematic review and synthesis of quantitative and qualitative research: a worked example to assess community preferences. ', 19th Cochraine Colloquium, Madrid, Spain. Chintakayala, PK, Hess, S, Rose, JM & Wardman, M 2010, 'Effects of Stated Choice Design Dimensions on Model Estimates', CHOICE MODELLING: THE STATE-OF-THE-ART AND THE STATE-OF-PRACTICE, pp. 195-215. Puckett, SM & Rose, JM 2010, 'Observed Efficiency of a D-Optimal Design in an Interactive Agency Choice Experiment', CHOICE MODELLING: THE STATE-OF-THE-ART AND THE STATE-OF-PRACTICE, pp. 163-193. Beck, MJ, Rose, JM & Hensher, DA 2010, 'The role of environmental attitudes in emissions charging and vehicle selection', ATRF 2010: 33rd Australasian Transport Research Forum. Many of the environmental problems that are both real and sensitive community issues stem from the use of transport infrastructure by passenger and freight vehicles, which are not only a source of congestion, but a source of local pollutants such as lead, carbon monoxide and noise. While there has been extensive literature on the concept of congestion charging and the economic arguments have been known for decades, there have been very few studies that explore road pricing as a function of vehicle emissions. Moreover, a growing global focus on environmental concerns in particular the role of carbon emissions in global warming, has created a social atmosphere where attitudes towards the environment are a pre-eminent focus of news media. In stated choice experiments, such attitudes play a key role in determining willingness to pay measures. This paper, using advanced choice modelling techniques, not only examines the role of vehicle emissions charging but also explores how divergent attitudes towards the environment influences motor vehicle choice, in particular how they impact upon sensitivities to vehicle emissions charging regimes. Campbell, D, Hess, S, Scarpa, R & Rose, JM 2010, 'Accommodating Coefficient Outliers in Discrete Choice Modelling: A Comparison of Discrete and Continuous Mixing Approaches', CHOICE MODELLING: THE STATE-OF-THE-ART AND THE STATE-OF-PRACTICE, pp. 331-352. Bliemer, MCJ & Rose, JM 2010, 'Serial Choice Conjoint Analysis for Estimating Discrete Choice Models', CHOICE MODELLING: THE STATE-OF-THE-ART AND THE STATE-OF-PRACTICE, pp. 139-161. Rose, J, Collins, A, Hess, S & Bain, S 2010, 'An analysis of the impact of non-compensatory behaviour on logit model estimation. ', World Conference on Transport Research, Lisbon, Portugal. Hatton MacDonald, D, Morrison, M, Rose, J & Boyle, K 2010, 'Untangling differences in values frokm internet and mail stated preferences studies. ', http://www.webmeets.com/files/papers/WCERE/2010/1637/Untangling%20Diffe…, Fourth World Congress of Environmental and Resource Economists, Montreal, Canada. Chung, D, Hensher, DA & Rose, JM 2009, 'Toward the betterment of risk allocation: Investigating risk perceptions of Australian stakeholder groups to public-private-partnership tollroad projects', 50th Annual Transportation Research Forum 2009, pp. 985-1017. This paper presents a qualitative assessment of the risk perceptions held by key Australian stakeholder groups in the context of tollroads operated under the Public-Private-Partnership model. The findings confirm that experience accumulated in recent years has contributed toward the betterment of risk sharing optimisation amongst the contracting parties. The knowledge acquired through in-depth interviews supports the common view that equitable risk-sharing is the vital ingredient of value for money. The proposition that the private sector is better equipped to manage commercial risks involving economic decision making whilst risks that have embedded unquantifiable social and public values and those in the domain of public governance are best left with government alone, appears to be replete with refutable implications. Public perception is a malleable concept and should be managed by both sectors. Hess, S, Rose, J & Bain, S 2009, 'Random scale heterogeneity in discrete choice models', http://abstracts.aetransport.org/paper/index/id/3210/confid/15, European Transport Conference, Leeuwenhorst. Hess, S & Rose, J 2009, 'Lessons in stated choice survey design. ', http://abstracts.aetransport.org/paper/index/id/3239/confid/15, European Transport Conference, Leeuwenhorst. Rose, J, Kumar, PC & Hess, S 2009, 'Using second preference choices in pivot surveys as a means of dealing with inertia. ', http://abstracts.aetransport.org/paper/index/id/3240/confid/15, European Transport Conference, Leeuwenhorst. Bliemer, MCJ & Rose, J 2009, 'Sample optimality in the design of stated choice experiments', https://iatbr2009.asu.edu/ocs/custom/resource/W3_R1_Sample%20optimality…, European Transport Conference, Leeuwenhorst. Rose, J & Bliemer, MCJ 2009, 'Sample optimality in the design of stated choice experiments. ', https://iatbr2009.asu.edu/ocs/custom/resource/W3_R1_Sample%20optimality…, The 12th Conference of the International Association for Travel Behaviour Research, Jaipur, India. Puckett, S, Rose, J & Bain, S 2009, 'Modelling Heterogeneity in Willingness-to-Pay Directly: Implications for Estimates of Influence in Freight Decision-Making Groups. ', https://www.openstarts.units.it/dspace/bitstream/10077/6110/1/D_Puckett…, The 12th Conference of the International Association for Travel Behaviour Research, Jaipur, India. Chintakayala, PK, Hess, S, Rose, J & Wardman, M 2009, 'Effects of stated choice design dimensions on estimates. ', http://www.icmconference.org.uk/index.php/icmc/icmc2009/paper/viewFile/…, International Choice Modelling Conference, Yorkshire, United Kingdom. Rose, J, Scarpa, R & Bliemer, MCJ 2009, 'Incorporating model uncertainty into the generation of efficient stated choice experiments: A model averaging approach. ', http://www.icmconference.org.uk/index.php/icmc/icmc2009/paper/view/58/56, International Choice Modelling Conference, Yorkshire, United Kingdom. Rose, J & Puckett, S 2009, 'Observed Efficiency of a D-Optimal Design in an Interactive Agency Choice Experiment. ', http://www.icmconference.org.uk/index.php/icmc/icmc2009/paper/view/63/7, International Choice Modelling Conference, Yorkshire, United Kingdom. Rose, J & Hess, S 2009, 'Dual Response Choices in Reference Alternatives Related States Choice Experiments', Transportation Research Board Annual Meeting, Washington D.C..
Bliemer, MCJ & Rose, J 2009, 'Efficiency and Sample Size Requirements for Stated Choice Experiments. ', https://trid.trb.org/view.aspx?id=881731, Transportation Research Board Annual Meeting, Washington D.C., U.S.A..
Beck, MJ, Rose, J & Hensher, DA 2009, 'The Accuracy of Proxy Responses in a Stated Choice Setting. ', The 12th International Conference Association for Travel Behaviour Research, Jaipur, India. Rose, J & Bliemer, MCJ 2008, 'Construction of Experimental Designs for Mixed Logit Models Allowing for Correlation Across Choice Observations. ', Transportation Research Board Annual Meeting, Washington D.C., U.S.A..
Hess, S & Rose, J 2008, 'Intra-respondent taste heterogeneity in instantaneous panel surveys. ', http://e-collection.library.ethz.ch/eserv/eth:30223/eth-30223-01.pdf, Transportation Research Board Annual Meeting, Washington, D.C..
Rose, J, Hensher, DA & Hess, S 2007, 'Examination of Respondent reported attribut processing strategies in stated choice experiments constructed from revealed preference data. ', Transportation Research Board Annual Meeting, Washington D.C., U.S.A..
Tiranchini, A, Hensher, DA & Rose, J 2014, 'Multimodal pricing and optimal design of public transport services: the interplay between traffic congestion and bus crowding.'. Rose, J 2013, 'Live Radio for 2UE on toll roads. ', 2UE. Rose, JM & Scarpa, R 2007, 'Designs Efficiency for Non-market Valuation with Choice Modelling:How to Measure It, What to Report and Why'. Iles, RA & Rose, JM, 'ï»¿Stated Choice design comparison in a developing country: Attribute Nonattendance and choice task dominance'. DPC Regional Communities Development Fund (BIDA). Community Preferences for Regional Infrastructure Projects: Shellharbour (BIDA).